Insanely flexible ALM for all phases of product development. TestTrack is a solution for managing product development phases and artifacts, from requirements, user stories and release planning, through sprints, assignments and work items, to test cases, QA cycles, defect resolutions and releases, it helps to deliver quality products on time. TestTrack is a hybrid-agile solution--from pure waterfall to pure Agile and anywhere in between. 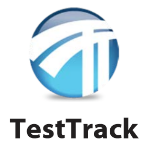 TestTrack Studio tracks and manages all the details of testing. It seamlessly blends the defect tracking features of TestTrack Pro and the time saving test case management features of TestTrack TCM into an integrated test environment. Multiple views - When working with large data sets, list views are much more efficient for filtering, sorting, and updating. Capture requirements, decompose them, classify and organize them by types, including risk. Use variants to eliminate writing duplicate test cases for multiple browsers, game consoles, or operating systems. Remotely start automated tests and collect the results. Store email interactions with issues.